Flip a coin. 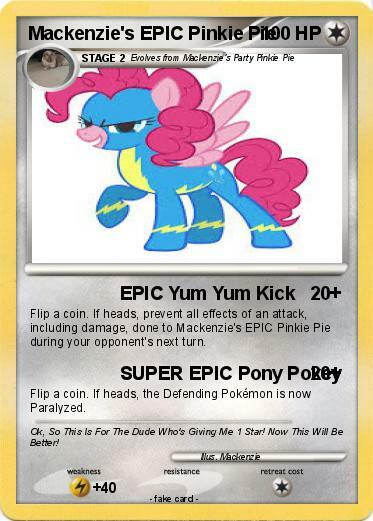 If heads, prevent all effects of an attack, including damage, done to Mackenzie's EPIC Pinkie Pie during your opponent's next turn. Comments : Ok, So This Is For The Dude Who's Giving Me 1 Star! Now This Will Be Better!